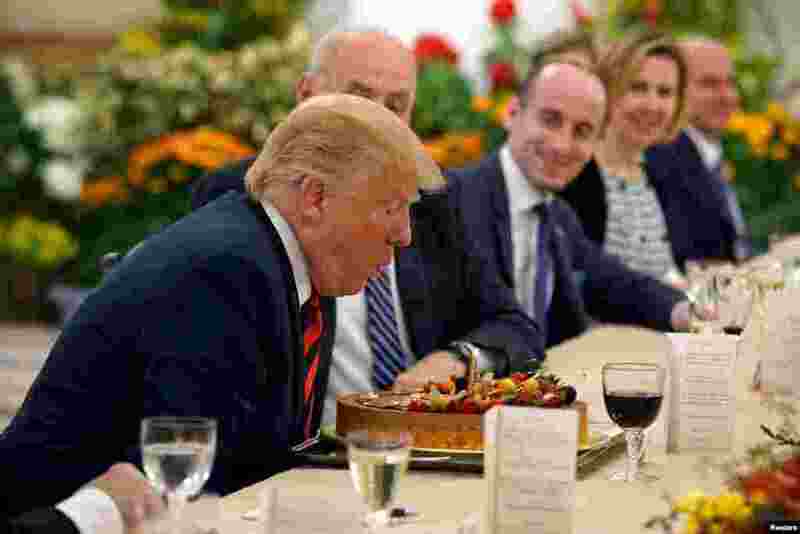 1 U.S. President Donald Trump blows out the candle on his birthday cake as he attends a lunch with Singapore's Prime Minister Lee Hsien Loong at the Istana in Singapore. 2 Yemenis inspect the damage caused by a Saudi-led airstrike on a cholera treatment center supported by Doctors Without Borders (MSF) in the Abs region of Yemen. 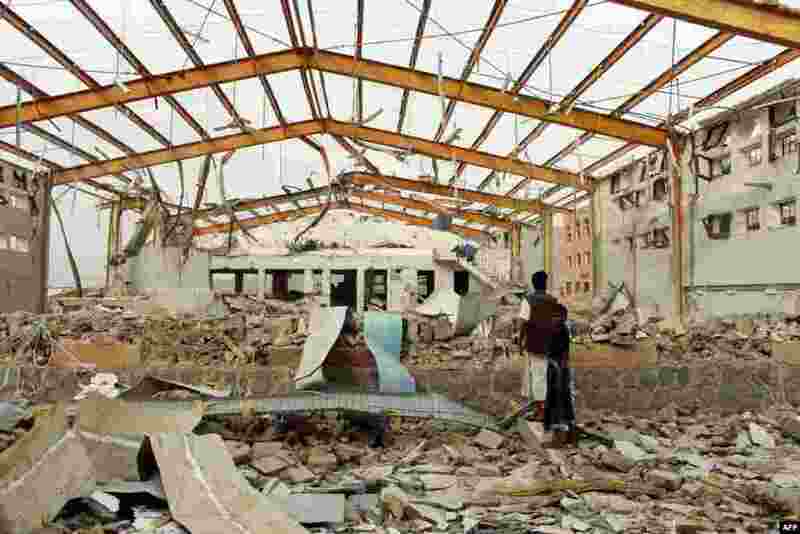 MSF said it has temporarily frozen operations in the rebel-held area of northwestern Yemen following the airstrike which caused no casualties. 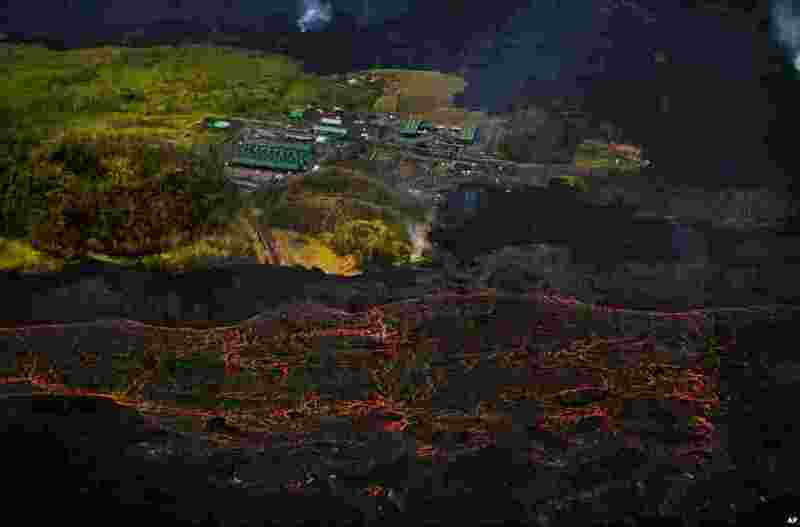 3 Lava from the Kilauea volcano flows near the Puna Geothermal Venture power plant in Pahoa, Hawaii, June 10, 2018. 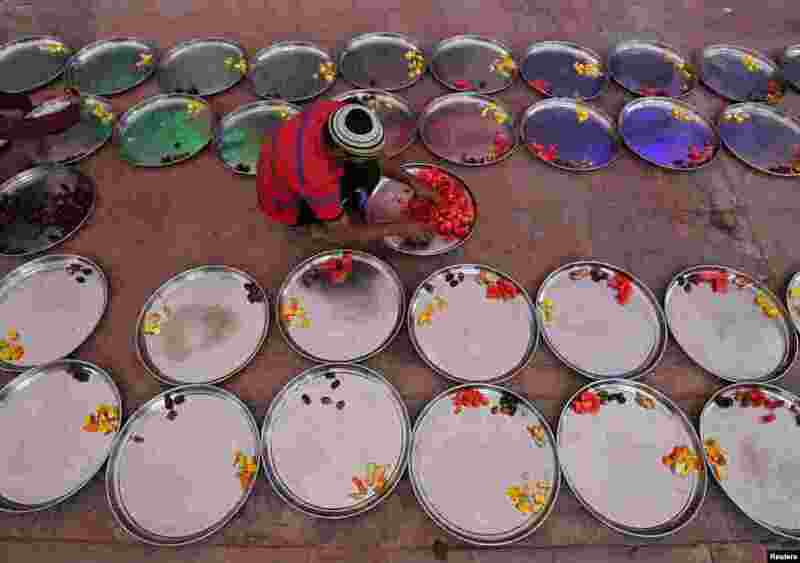 4 A Muslim man prepares plates of food for Iftar (breaking fast) meals inside a mosque during the holy month of Ramadan in Ahmedabad, India, June 10, 2018.